A football team never wants to see their star quarterback go down with a serious injury. Such absence often leads to a team experiencing many difficulties in trying to regularly win games. The quarterback is one of the few players on the field who has a direct and immediate impact within every single play. If a team’s quarterback becomes injured, his coaches are forced to hold their breath as they hand the bulk of responsibilities over to a backup, often young and inexperienced, QB. But in 2016, this has not been the case for the Dallas Cowboys. The team won its ninth straight game this Sunday to improve to 9-1 record overall, on the heals of an impressive run by both Rookie QB Dak Prescott, and fellow rookie Running Back, Ezekiel Elliot. Dallas currently holds a two game lead over the New York Giants in the NFC East. No one could have expected Elliot, the Cowboys first round pick out of Ohio State just six months ago, to be the league-leader in Rushing yards this far into his inaugural season, nor arguably being the frontrunner for the Most Valuable Player Award. Prescott too is looking like a seasoned veteran on a weekly basis, playing with admirable control and composure. The Cowboys surprising bounce back after a 4-12 campaign last year has undoubtedly become the “story of the season.” In large part due to the successes of both Elliot and Prescott, but also because of the tricky situation it creates for its longtime team captain. After breaking his collarbone during pre-season, the injury-prone Tony Romo was sidelined indefinitely. After initial panic, the performance of his successor has transformed his return from a strongly desired arrival into an awkward-filled dilemma. Especially in recent weeks, widespread debate amongst writers and analysts occurred, speculating what the Cowboys should do when Romo became cleared to play. Do they give him back the ball his track record proves he deserves, or do they ride the hot hand? The question was finally answered this past week, when Romo was activated in a backup role for Sunday’s game against the Baltimore Ravens. While speaking to the media in a press conference, Romo openly accepted the decision made by head coach Jason Garret and owner Jerry Jones, saying it was because of how well Prescott is doing and how well the team is doing. “He’s earned the right to be our quarterback. 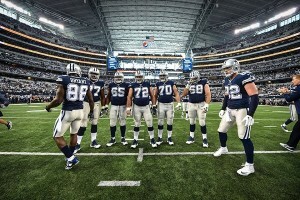 As hard as that is for me to say he’s earned that right,” Romo said. The Cowboys season looked bleak when Romo was hurt in the preseason. Ideally, the Cowboys would have wanted Prescott to learn from watching Romo play. Instead, Romo now must re-learn the nuances of being a back up while watching Prescott continue to exceed expectations in every facet. The pair, along with their MVP-caliber and budding superstar of a teammate in Elliott, have each willingly embraced the roles their team needs them to fill. 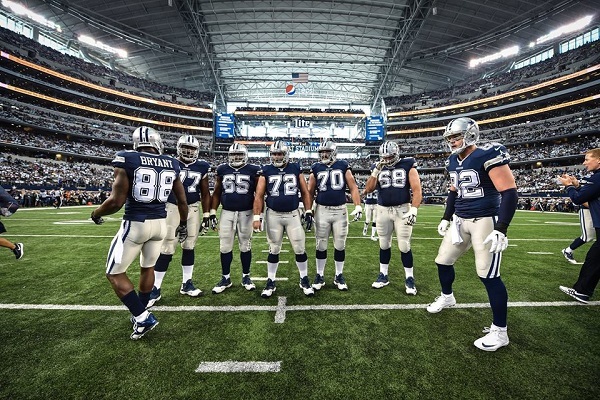 They have done so in order to preserve their tight hold on the NFL’s best record, and to help propel the Cowboys towards a legitimate run at the Super Bowl twenty years in the making.